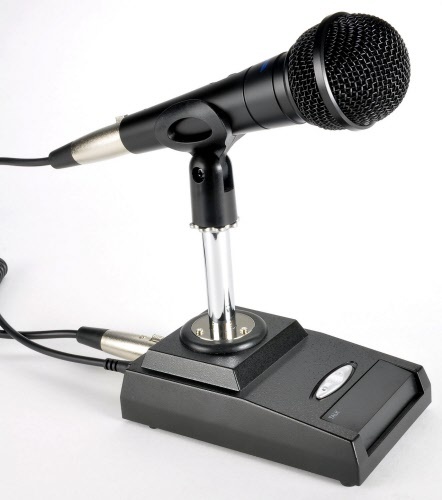 The M650 microphone is the M Series counterpart to the M629 that provides well articulated overall audio with overall higher-end output punch for contesting and DX operation. Featuring a unique cardioid dynamic element with a response pattern similar to the M629, the M650 incorporates an abrupt frequency response change above 1 kHz to 2 kHz then has a flat response to 4 kHz. Lower frequencies are somewhat diminished relative in output to the higher ones, giving the sound more high-end punch with a slightly less low-end response; a top-of-the-line dynamic mic with less low-end response than the M629.